Phyllis Chinn sent this in and said this was an adaptation which she made from a “normal” recipe and she said it is truly a delicious gluten-free treat for anyone, celiac or not. Click here for more delicious gluten free recipes. My friends all love the chocolate sauce listed at my recipe page. It’s to die for! Mix together: flour, baking soda, salt, xanthan gum, and cinnamon. Add to egg mixture and mix until combined. Add strawberries and beat until strawberries are broken up. Add pecans and pour into oiled muffin tin or greased and floured bundt pan. Bake at 350 until tested done with toothpick. Make a glaze from some of leftover strawberry juice, powdered sugar, milk and vanilla. Drizzle over cooled muffins or cake. Gluten is Not the Real Problem? Oh my goodness…this looks like heaven!!! Yum!!! I am a huge strawberry FANATIC! Can’t wait to try this, the pic looks incredible! Oh boy…looks/sounds great. 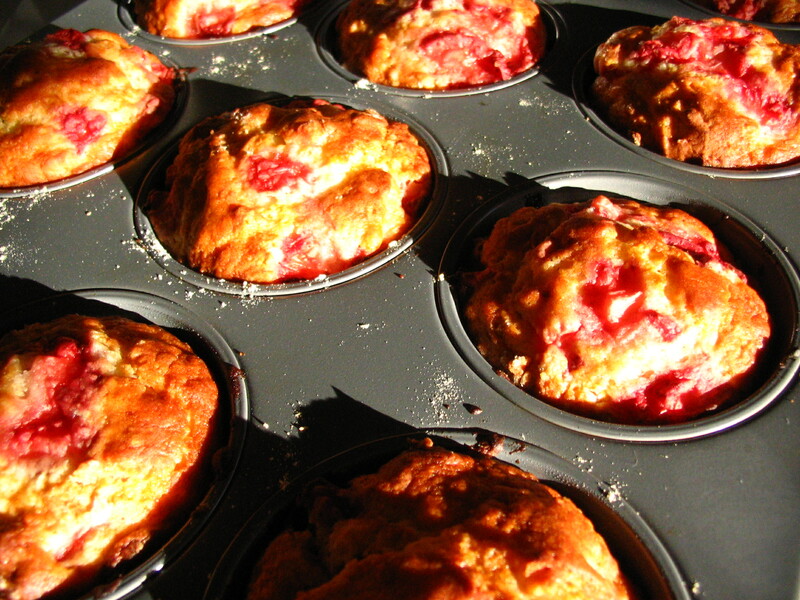 These muffins would be ideal for our family Sunday brunches! I finally got around to making these muffins tonight for a delicious and not-so-bad-for-you Valentine’s Day treat, and they came out great. I highly recommend it. Look forward to making the bundt cake, too!